This medium duck brass ornament is perfect for placing in your garden, pondside, patio, balcony or terrace, and also makes an ideal gift. 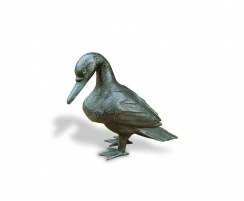 Our lifelike medium duck brass ornament is a charming addition to any garden. 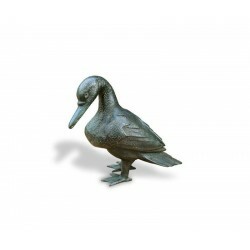 Made of solid brass, this medium-sized duck will slowly patinate over time and remain a characterful addition to your outdoor space.